CosmoBox is curated by the editors of Cosmopolitan magazine. This unique monthly subscription box brings you full-size quality goodies that compliment and empower your multidimensional lifestyle. We get a handy card detailing all of the items in the box this month. Also included is a card, which is just oh-so Cosmo to me! I remember being obsessed with the magazine quizzes. Also included is a card with a discount you can use on the CosmoStyle jewelry line. Finally, a card with some handy holiday survival tips. I was really surprised with how high quality this stretch bracelet is. The Labradorite beads are stunning, with firey blue flecks and interesting freckles and lines. The rose gold plated hardware is also well done, and the CZs shine like crazy. It also features two lava beads that you can drop your favorite essential oil on for aromatherapy at your beck and call all day! This bracelet was a little snug on my pretty average wrist, but it loosened throughout the day and was very comfortable. It also stacks beautifully with your other faves. I am not sure why our info card lists the retail value of this bracelet so much higher than the actual site, but for me, the value meets the $24.99 price range. I love palettes like this because they are great for both day or night looks! I love the warm golden shade range found in these shadows. It is a nice mix of shimmery and matte, meaning you get a ton of dimension from this palette. You can also use the metallic shadows wet for a killer liquid line that is perfect for more special events. Like most Tarte shadows, the pigments are super rich and smooth! This clutch has a soft gold side and a silver side, meaning you get multiple looks from it. It is made of vegan leather and has a hot pink satin interior. I wish they had chosen a more neutral color for the lining, but I am sure there are others who totally love the pink. It is a great size for a clutch and I like the fold over style. You could also use it as a super stylish tablet cover if you wanted! This is a super cute piece, but I feel like the retail price is a little nuts. The metallic faux leathers are both in very soft shades, so it looks more subtle and luxe than some other harsh metallics. First off, don’t put these in soda. Just don’t. I, admittedly, had a huge lapse of judgment. Learn from my mistakes. These tablets have caffeine and aspirin in them, and when you put them into your choice of NON-CARBONATED beverage, they fizz and bubble! Drinking these ingredients helps them absorb faster than a pill would, meaning faster relief from that lousy hangover. I am at that time in my life where I don’t really have hangovers because I fall asleep before I can get drunk enough, but boy these would have been nice in college. I did use one when I had a general headache and they really did help! I also suffer migraines occasionally so I plan on having these close by next time I get a spell. This lipstick boats 16 hours of wear, and I am inclined to believe it! I tried this out on my lips and couldn’t get it off, even with scrubbing. I ended up wearing it all day because I really had no other choice, and found it held up really well, even at the 10-hour mark. I did find it drying, but I tend to avoid most matte formulas for this reason. I used a lip balm on top and it looked great and still stayed in place. I did have to really work to get it off that evening, and my lips were still tinted the next morning. If you love super long lasting mattes, this is an excellent choice! As you can see, Dancer is a classic true red shade! 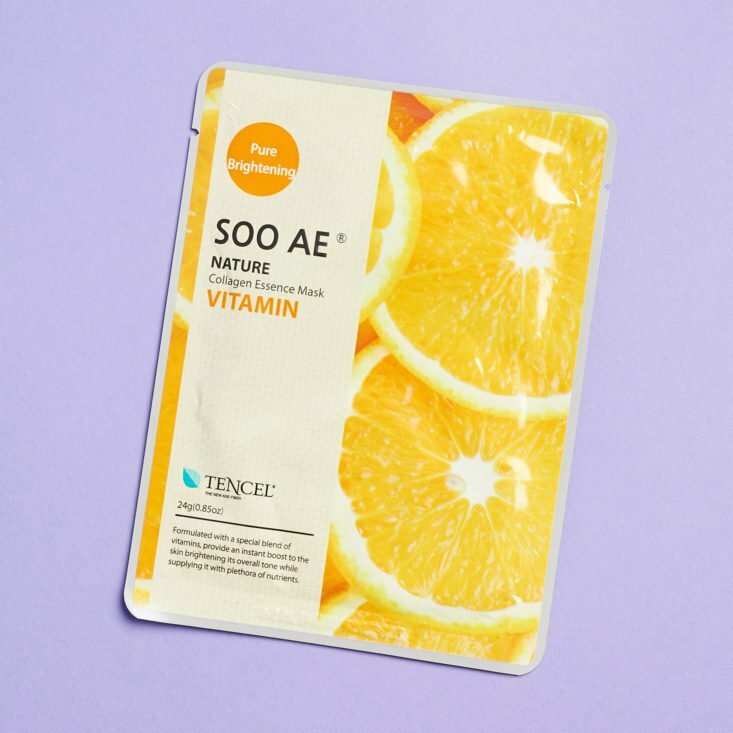 We received a literal plethora of sheet and sleep masks from the Koren brand Soo’ae. This sleep mask should be the last step of your skincare routine before bed. Slather it on your face and get some sleep! This formula is full of antioxidants and smells like berries and flowers, though the scent is subtle. My skin was super hydrated and glowing in the morning. I actually skipped my primer because it was feeling so good! This peeling mask was weird but enjoyable! You basically cleanse your face then apply this formula in circular motions. Soon little pills of formula will start to collect on your face collecting dirt and grime your cleanser may have left behind. You do have to wash your face again after using this mask. It is gross in the way that a nose pore strip is gross, but I am always equally fascinated and disgusted by things like this, so I was into it. I would classify it as an extremely mild exfoliant. This sleeping mask was a little heavier than the earlier one but should be applied in the same way. The scent was fresh yet creamy, and my skin felt great in the morning. Donkey milk is nicknamed “white gold” because of its nourishing ability. It has been used for centuries in skin care regimens and Cleopatra was even a fan! It adds some healthy fats to your skincare routine and is a heavy sleeping mask. It smells soft, like fresh air! I always love a charcoal mask because they make my pores seems so much clearer and smaller. This mask is made of a dark black fiber, so don’t order takeout unless you want to terrify the delivery guy when you answer your door. I dislike these trendy slice masks because I never really know where to put the slices and I end up looking like a have some sort of aggressive pox. This sheet mask only came with 4 slices. I wish it were a full sheet mask because the serum itself was lovely! Clear and smelling of fresh cucumbers, it left my skin feeling very refreshed! This was the first mask I grabbed because I was excited about it being a holographic mask. I was a little bummed because the foil side makes the rest of the mask much less flexible, and because of this, it sat on my eyes way too close together. The formula itself was pretty standard, and did its job well, leaving me with soft skin. I just wish the eye holes had been farther apart. I liked this mask! It came sandwiched between two mesh covers and was a little difficult to get on, but entirely worth it. It reminded me of a super thin hydrogel. Not much smell here, but it felt so good on! My skin was literally glowing after I removed it. More white gold! This formula also has green tea and salmon egg extract, which is quite the assortment! It also has a really lovely scent that reminds me of air and ocean. This one did tend to slide down my face a little as the minutes ticked by, by it was worth the effort to keep it in place for my happy skin. I would have thought that this mask would have had some sort of citrus scent be the packaging, but it really had very little scent. It is a tencel mask, which is generally a little thicker than some but feels very plush and soft. This one wasn’t super remarkable, but it felt nice on. 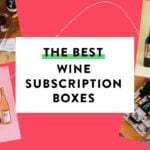 These might be the silliest and most useful gift you could ever give to a wine lover. These little condoms can be used instead of a cork to seal your wine. They are leak proof and reusable! Verdict: This box has a retail value of approximately $182.64. That is a crazy value for a $35.99 box! I have no idea why the curators felt the need to inflate the values on the item sheet when there was no need what-so-ever. I thought the curation of this box was incredible as well. I loved how there were beauty, lifestyle, and accessory items. The bracelet hasn’t left my wrist since I opened this box and the Tarte palette is beautiful! Even though I would never pay the retail price of the clutch, it is a solid addition to any wardrobe. The hangover tablets will absolutely be used, though more likely for headaches than hangovers, and I can never have enough sheet masks! I needed a true red lip color and this long-wear formula will fill that niche until I find something less matte. The wine condoms made an adorable gift for a wine-loving friend. Can you still get this box if you sign up today? I believe so, but I recommend contacting their customer care to be sure. 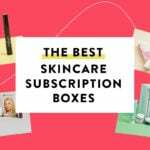 Check out all of our CosmoBox reviews! Keep track of your subscriptions: Add this box to your subscription list or wish list! What do you think of the December CosmoBox? I wish folks would stop using the term “Vegan Leather”. Its glorified PLASTIC. And no way is it worth more than a free add on or gift with purchase $3 bag. I know as a reviewer (great review btw) you use the terms the company uses but I feel companies need to stop using this terminology. In CA all “Vegan Leather” products come with the cancer warning on them, even the purses. You rock Megan, always great reviews! Oh and I received a different bracelet that is a bit simpler in style, but I do like trying new oils out on it! Super cute! I really liked this box and the masks have helped moisturize my winter skin. I was able to have a couple extra gifts for a wine loving friend that I was making up a gift for. The tarte palette made a perfect gift to a friend who LOVES tarte. I’ve put all of my sheet mask collection in the huge bag so I can keep track of them. It just worked out that way given all the mask they included- along with my own collection. I’m excited to see what January brings!! I know Liz just posted a spoiler for January! I have mixed feelings, but this box was exceptional so it will be hard to follow. It is from Target! I didn’t realize that I was blending into the backdrop so perfectly when we took these. Haha! Another craptastic box from Cosmo. If anybody gets this i have lots to trade and would want the bottle condom and the hangover powder. Good job reviewing! You were task to review crappy box. Kind like chef is given not so good cut of meat and is expected to make great dinner. This box is cheap looking and something that coed may enjoy. Clutch $69. Hangover tablets? Really? I have received better clutches from retailers as a gift with purchase for a free. Curation minus zero! Now that you mention it, it’s true, I too have received better bags for free from Ulta and Elizabeth Arden and possibly some others – bags that I can actually carry as part of my outfit. This one is an awkward shape and unremarkable. Thanks for the kind words MD! Though this box had some misses, I actually did enjoy a lot of it! The clutch could have been better. These masks have been coming in the Walmart boxes. The bracelet is made by them. And that clutch doesn’t look worth $20. Very inflated pricing. No thank you! Great review though. Thanks Shai! This is one of those boxes I hope keeps improving. The hangover cure is a fancy BC Powder which you can literally get a big box of for under $5. If you need an aspirin/caffeine mix after this stuff runs out, I recommend looking for BC Powder instead. They also make Goody’s Powder which is a Tylenol/Aspirin/Caffeine mix. I’m most impressed by the sheet masks in the box. This is peculiar – I was wondering why I never heard of BC Powder, so I looked it up, and Wikipedia says it’s sold exclusively in the South where it has a cult following. Very interesting! I suspected it may be sold in the south because I didn’t remember it when I lived in the north 10 years ago but you can order it off of Amazon and it really does work faster than pills. It was once advertised by Richard Petty! BC powder is terrific for a headache. I am literally buying all the BC powder I can find. Thanks for the incredible tip Amanda! I can’t find any contact information for customer service. Can anyone point me in the right direction? Except for the makeup items, to me this just looks like a box of random worthless crap. Megan, the photos of you holding the clutch are so beautiful! I love your hair and outfit! Seeing how much they lie about RV I don’t know how I would feel believing the articles in the magazine. Not a bad box but considering how many advertising partners they’ve had throughout the years and the connections they have’s crazy they can’t do better. Lol, I’m sorry…believe the articles of a magazine that tells you to sprinkle black pepper into your parner’s nose before the big moment? They said that, the pepper bit?!? I dont read cosmo as i find it juvenile but did they actually suggest that? Lmao!!! I wish they didn’t go up on price and i would subscribe. Boy that’s alot of MASKS ….wowser! It was SO MANY masks! I had to do two a day for over a week! My skin is now spoiled and ruined for normal life. Megan, very well written review. I think you and Marne are my favorite word from MSA. I mean… a box that has their name should be able to do a lot better for the price they are asking in my opinion! Also the fact that most of the items they put out are made by them ( the bracelet this time) means they pay next to nothing for it! Hope they get better…. And I have most of those masks already from the target and walmart boxes. Great review! I would have loved this box,a little bit of everything. Thanks Katie! I always appreciate variety, and this box certainly had it! "Is there another MSA reviewer, who has less painful looking, cuticles able to review the polish subs/boxes? This..."